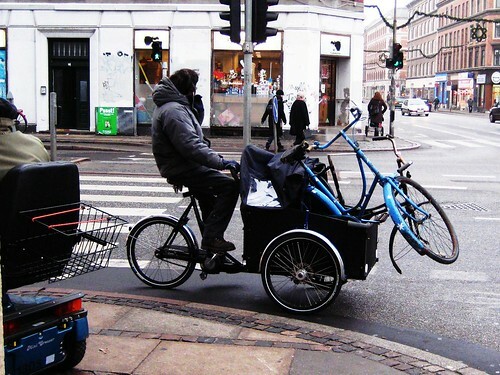 In Copenhagen, when you see someone doing what we call a 'håndhest' - or 'hand horse' like this photo, your first assumption is that they are helping out a friend or loved one. This is photo series requested by our reader, Hans. 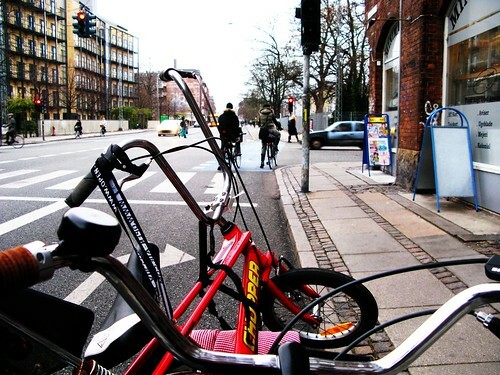 protip: If one of the bikes has coaster-brakes, ride on that one. I love cycling too. I always use my bike when I go to other places, even far one. In the states we call it "ghost riding". How funny! 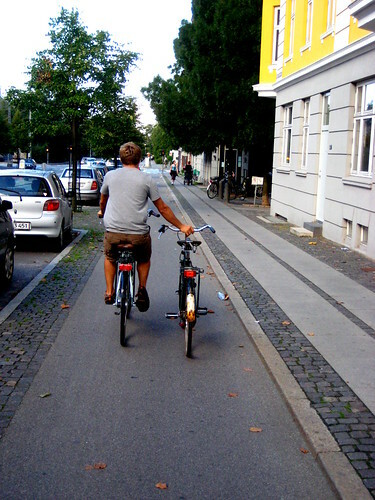 I did this exact thing today, when I picked up my wife's bike :) And it wasn't even me who requested the photos. But I guess there are a lot of other Hans'es following this excellent blog. considering the fact that most bikes are stolen at night by inebriated citizens on their way home in the wee hours, i think it's realistic to assume that these people are helping out friends/loved ones. bike thieves ride the bikes away in a hurry. they don't parade down the street with them. This is how I get my son's bike home from school on days when he is not riding home, so that it is ready to ride to school the next morning. 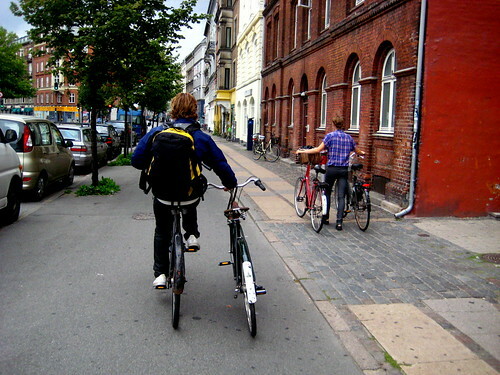 It is feasible in New York City, if you stick to bike lanes.